MOBILE, Ala. – Coaching legend Dabo Swinney is the keynote speaker for the 2018 University of Mobile Scholarship Banquet presented by Seymour. The gala event will be held Tuesday, Feb. 27, and begins at 6:30 p.m. at the Arthur R. Outlaw Convention Center in downtown Mobile. General admission tickets are $150 and sponsorships begin at $1,500. Sponsorships may include an opportunity to meet Swinney during a VIP Reception prior to the banquet, with priority seating at the event. Tickets are available now at umobile.edu/banquet, or call the University of Mobile Advancement Office at 251.442.2587 or email advancement@umobile.edu. The 13th annual University of Mobile Scholarship Banquet raises scholarship funds for students at the Christian university. Banquet sponsor Seymour is a media broadcasting company that provides Mobile area students with hands-on experience in a professional environment, producing content that features live and local coverage of sporting events, community news, educational developments, and much more. For more about Seymour, visit www.watchseymour.com. “We expect tickets to go quickly, especially during this Christmas season when they will make excellent Christmas gifts. Coach Swinney’s life story and his insights into football and faith are inspirational, and we look forward to an uplifting and exciting event,” said Lauren McCaghren, senior director for alumni programs and annual giving.  The evening will include performances by students from the Alabama School of the Arts at University of Mobile and feature highlights of recent university accomplishments and upcoming plans. Dabo Swinney was raised in Pelham, Alabama, and attended the University of Alabama. He received a commerce and business administration degree in 1993 after lettering three times (1990-92) with the Crimson Tide football team. A walk-on receiver who went on to earn a scholarship, Swinney played on Alabama’s 1992 National Championship team. He was also named Academic All-SEC along with being an SEC Scholar-Athlete Honor Roll member in 1990 and 1992. After his playing career, Swinney served as a graduate assistant at Alabama from 1993-95. In December 1995, he received his master’s degree in business administration from Alabama. He became a full-time assistant coach at Alabama in February 1996 under Head Coach Gene Stallings and coached a total of five seasons, winning the SEC Championship in 1999. During his time at Alabama as both a player and coach, Swinney was part of six teams with 10+ wins, five top-10 finishes, one national title, three SEC Championships and five SEC Western Division titles. He joined the Clemson coaching staff prior to the 2003 season and was an assistant coach for five seasons before being named the Interim Head Coach in October 2008. On Dec. 1, 2008, the interim tag was removed and he was named Clemson’s 27th head coach. Over his nine seasons as Clemson’s head coach, Swinney has cemented himself as a coaching legend after leading the Tigers to the 2016 National Championship. With a preseason No. 2 national ranking, Clemson lived up to the hype after compiling a 14-1 record and earning a spot in both the College Football Playoff and College Football Playoff National Championship game for the second straight year. Along the way, Clemson knocked off the winners of the last seven national championships as well as five top-25 teams. For his efforts, Swinney was recognized as the Bear Bryant Coach of the Year for the second consecutive season, becoming the first two-time winner of the award. He guided Clemson to the No. 1 national ranking in every College Football Playoff poll in 2015 and led the Tigers to their first National Championship Game appearance since 1981. Following the team’s 14-1 record and No. 2 final ranking, Swinney was the recipient of 10 National and two ACC Coach-of-the-Year honors. The 2012, 2013 and 2014 seasons were also noteworthy, with three top-15 final rankings in the polls. Clemson joined Alabama, Florida State, Ohio State, and Oregon as the only schools in the nation to make that claim. Each of Clemson’s teams from 2011-16 also won 10+ games, the first time in program history. Only Alabama has duplicated that feat. Over that same period, Clemson has compiled a 70-13 record, the most wins in a six-year period in school history. The 2016 seniors finished their careers with a school-record 49 wins. In nine years (not including 2017) as the Tigers’ head coach, Swinney has directed the program to an 89-28 overall record (.761) – best by a coach in school history. He has also led the Tigers to the ACC Championship game four times, won three ACC titles, won or shared five ACC Atlantic Division titles, and won seven bowl games (five against top-10 teams). His teams have compiled 20 wins over ranked teams in his head-coaching career, including 12 over top-10 teams. Clemson was in the top 10 of APR (Academic Progress Rate) scores and the final top 25 of the AP and USA Today polls from 2011-15, the only FBS program that could make that claim. Swinney married the former Kathleen Bassett in 1994. They have three sons, Will, Drew and Clay. Will is currently a freshman on the 2017 Clemson football team.